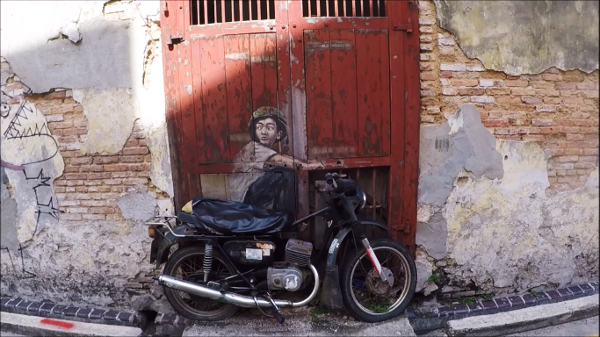 One of the Things To Do in Penang was wander around George Town, and find the famous Street Art in Penang. It was great fun because it was going on a treasure hunt. When in Penang, it is something we simply must do. And so must you! After enjoying the Penang Road Famous Teochew Chendul, we felt refreshed and re-energized from the long drive. 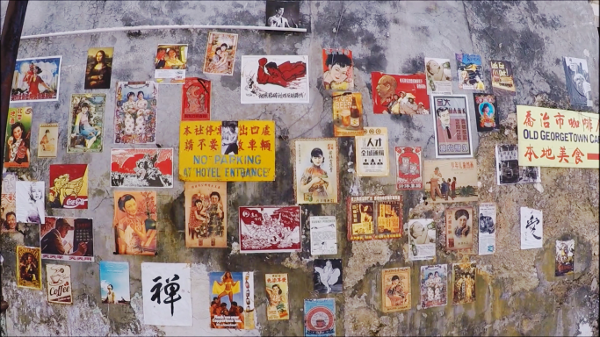 We had heard so much about the famous Street Art in Penang. And our goal was to find as many of the famous illustrations as possible. In this article, I will share with you a little bit of how the mural art came about? Who are the artists? Where is the street art located? And most importantly, did we manage to find them all? Continue reading to find out. As usual, we shot as many videos as we can of this phenomenon. There is a street view to show you where this place is, and to help you identify the location. And, of course, we captured as many of the street art as we could. Watch the video to see how many we managed to find. After Kuala Lumpur, Penang is the next top destination in Malaysia. She is famous for her white sandy beaches, rich heritage and culture, and the wide range of delicious food. In 2008, George Town was declared a UNESCO World Heritage Site. This is due to the her being like a living museum. The streets are filled with buildings that are in it original state, and rich with culture. Since this award, George Town has attracted thousands of tourists. To enhance the status of being a World Heritage Site, the City of Penang held a competition to add signages to this living museum. This resulted in Iron Wrought Structures placed strategically around the town. Read The Beautiful Wrought Iron Works section below for more information. 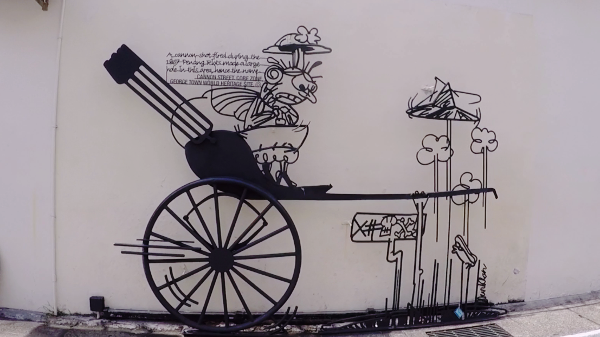 The next level of creating this living museum was the addition of beautiful street art. Read the next section – The Beautiful Illustrations for more information and photos of some of these awesome murals. 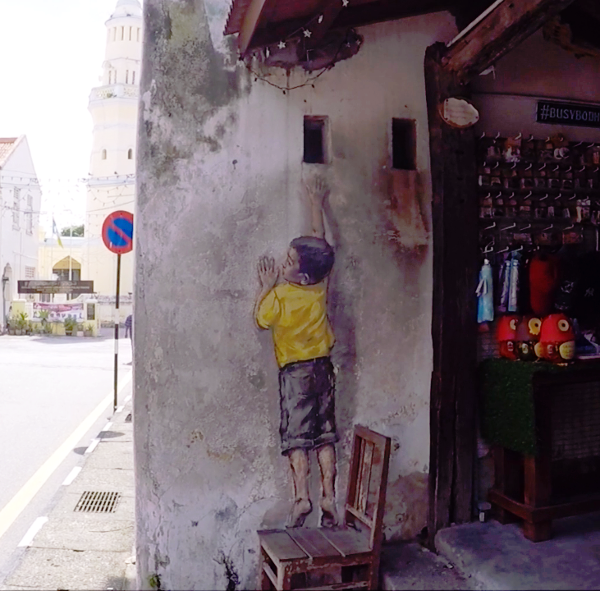 In fulfilling the concept of George Town as a living museum, Illustrations by Ernest Zacharevic from Lithuania were painted on walls of the many charming old buildings. The famous artist created large and fabulous murals that transformed the old town into an open air gallery. Tourists from all over the world travel here to see these amazing works of art and to take photos and selfies of them. And we were one of those tourists! Well, short of selfies. We captured these beautiful works of art in photos and video. If you have not yet, do Watch the Video above. Tip: If you are visiting during the hot season, make sure you have a bottle of water with you at all times. It can get very hot during the day. Alternatively, stop once in a while to catch a break and enjoy the local coffee, tea and snacks at the local coffee shops. 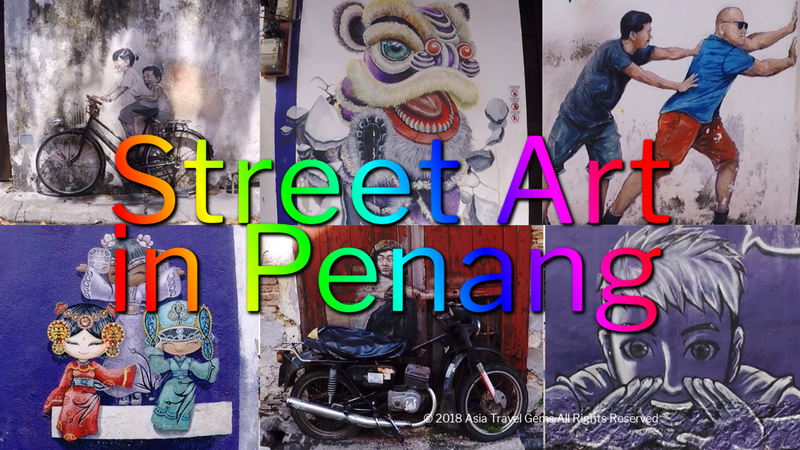 Ready for the Street Art in Penang tour? Let’s go! It was not easy to take the photo below. There were so many people queuing to pose with it. This was because this was one of the more famous and popular street art titled Children on Bicycle. Don’t they look so happy and carefree? Here was another street art that is very popular. Again, lots of people queuing to pose with it. I had to quickly capture between the posers. It was the Boy on Motorcycle. The emotion on the faces of this mural art and the one above. The words unspoken but revealed from the body language and body postures. Of this, the above, and all the street art. I find they speak volumes. Don’t you agree? I really liked this when I first saw it. It was full of energy and color! So apt for Lion Dance. It was located at a shop selling ice balls (a local dessert that was like snow cones). It took a while for us to find this famous mural. It was Boy On Chair. It was not located near the other street art. You have to do a bit of exploring to find this one. This next one was intriguing. I wonder what all the blue color was about? Anyone knows? If you do, please enlighten me and leave me a comment? Also, my friends told me this was a famous street art. But it was not featured on any list of famous street art in hotel literature. So, not sure if it was famous. Again, if anyone knows, please leave a comment? The Three Chinese Dolls were really pretty! And the size of this mural is really small. So, you have to really keep your eyes peeled to find it. Watch the video to see where to find it. The above street art were mostly in one block area. To see more street art, you have to move to other blocks just next to it. The Love Me Like Your Fortune Cat was found in one of the blocks nearby. In the same block as the one where Love Me Like Your Fortune Cat was found, we discovered the famous Skippy street art. Sadly, the elements had not been kind to this awesome artwork. 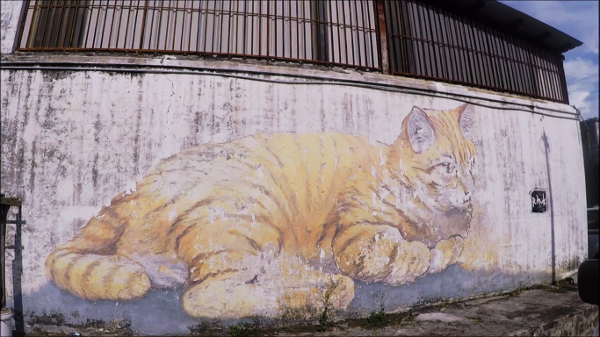 What used to be a giant homage to a famous cat, painted with brilliant orange, is now a faded ghost like image. Skippy is famous. He was a rescue by LASSie, an animal shelter. Due to a detached left paw, he walked on three legs with a skip. That was how he got the name Skippy. 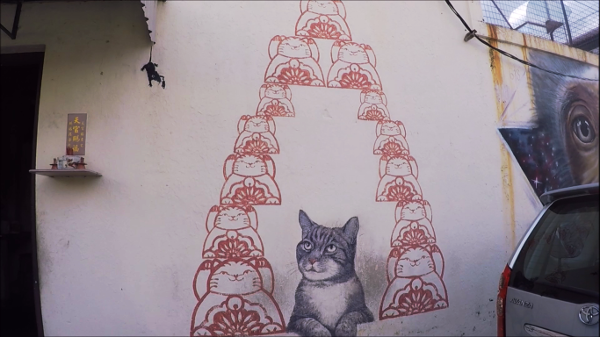 The people of Penang seemed to love cats. There so many street art featuring cats of all sizes, colors and breeds. There was even a shop filled with everything that has a cat image on it; cups, t-shirts, souvenirs, etc. There were even a few cute paintings of cats on the walls. Here is a photos of one of them. Watch the video to see more. A competition in 2009 titled “Marking of George Town” was won by Sculpture at Work. It proposed 52 steel rod caricatures called “Voices From The People”. These art installations would mark places that are significant and provide stories of the people and important events. There were many Wrought Iron Sculptures. We captured quite a few, and featured them in the video above. Here was one of them. It told the story of the old days when hawkers sold food using a carrier like that shown in the sculpture. This particular hawker was selling a popular local fare called Nasi Kandar. This sculpture caught my eye, and illicit quite a few giggles from others who spotted it. It told the story of a tourist taking a trishaw ride. The trishaw is moved by a man pulling it at the front. Here, the humor is that trishaw puller did not notice the street manhole and fell into it. The tourist reaction is hilarious! I noticed many of the street art, particularly the Wrought Iron Sculptures, injected a bit of local humor. Plus, the characters were ‘drawn’ with exaggerated expressions and body language. As the entire town became a living museum, and the streets evolved into an open air museum, I could see others, artists or not, inspired to create their own works of art on the walls. Here is a wall filled with old posters. The posters were advertisements from the 50s, 60s, and 70s. I could spot a few famous people such as Teresa Teng, Marilyn Monroe and Bruce Lee. Perhaps you can find more? Watch the video for the full length of the wall and all the posters to find who you can identify? We had so much fun searching for as many street art as we could. I am sure we did not find them all. Perhaps you can find more than us? 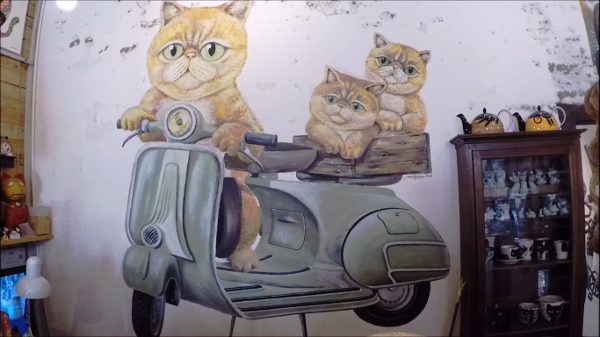 Do take a look at the video for the full number of murals we spotted. Then come back and let us know which we missed out that you were able to find by adding a comment. 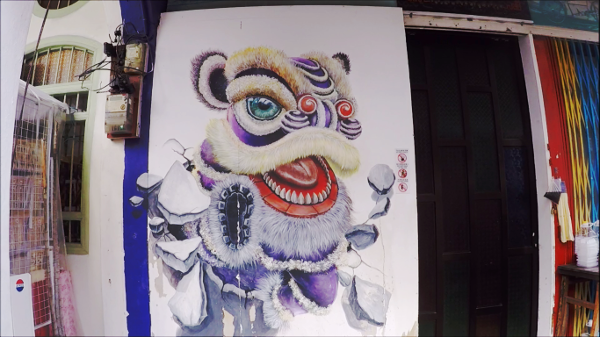 Where is Street Art in Penang? Now where is the fun if I told you where to find each street art? The best part about this attraction is the hunting. So I decided to just give you a clue. 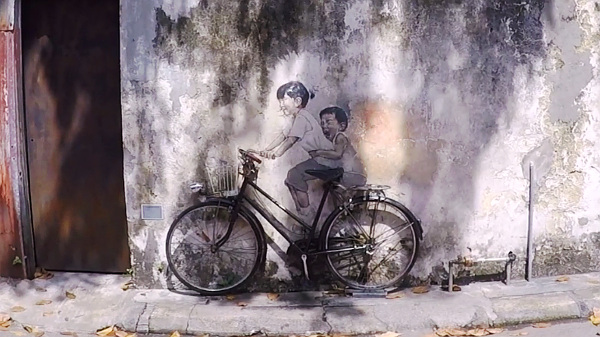 Just like any treasure hunt, you get to know where one of the most famous street art is – the Children on Bicycle. This particular illustration is sort of in the middle of all the other famous street art. If you can find this one, you can find the rest. With that in mind, you can use the map below to navigate to the area where the street art is. There is no real operating hours here. 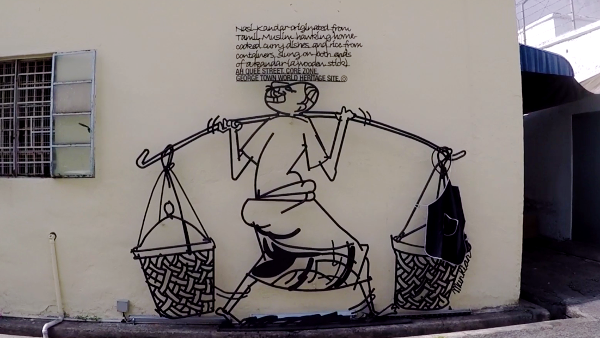 These are paintings on the walls of buildings in public spaces. So, in a sense, it is open 24 hours, 7 days a week. It is just that it is better to look for these masterpieces during the day. There is no one contact number to call. For more information, you can check with your hotel or talk to someone at the UNESCO World Heritage Site in Penang. This is the best option. The street art are spread over a few blocks. So, it would be better to explore and find them on foot. There are local buses, but information on their routes and stops are not well provided. Better to go by car, taxi or Grab. If you drove to Penang, you are at an advantage. Traffic is not as heavy as cities such as Kuala Lumpur. Navigating around is easy, especially if you have Waze app. Also, there are some street art that are a little far off from the others. This can help speed up the search. 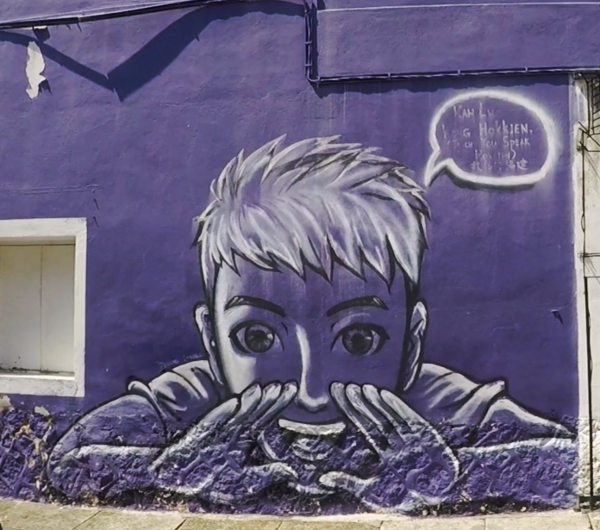 If you have ANY questions about this article, about Things To Do In Penang – Street Art In Penang, ANY at all, please submit your questions as comments below. I will be happy to help you out. How cool. I love the one with the kid standing on the chair. Reminded me of Banksy. Thanks Jake! Glad you like these street art. Glad I took this mini-vacation with you. I feel like I would be able to find most of the art you featured, now just to get myself the time and money to get to Penang. I visited Kuala Lumpur when I was in the US Navy but was unable to explore any of the other cities. I missed out on some great memories but hope to get back in the next few years. Hi Sanders! Very happy you enjoyed this article. I do hope you get to visit Penang soon. 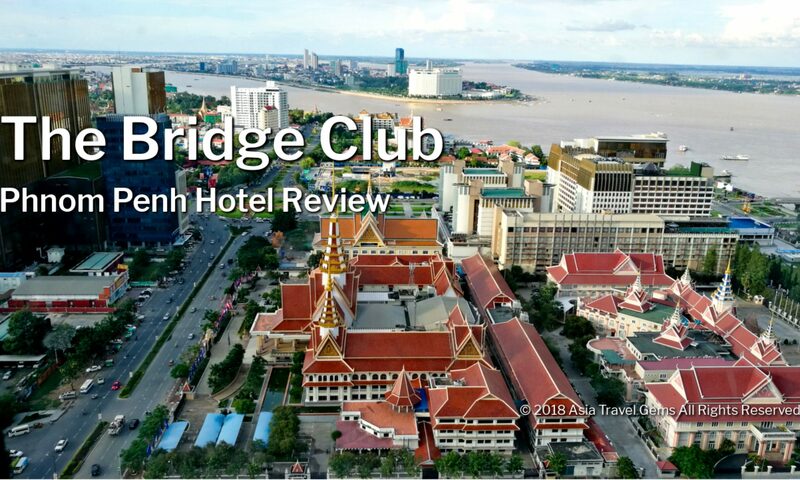 When you do, please do visit my website to get ideas on Things To Do In Penang, Good Food in Penang, and of course, the best hotels to stay in Penang. GREAT PHOTOS! I love walking around cities and discovering things like this. These artists are VERY talented. The cat pic is funny.. Thanks! Glad you like the article and the photos. Hope you watched the video too? Great article you were very informative about each of the paintings in Penang. I never been there but now I want to go. Keep up the good work! Thanks Brian! Very happy you enjoyed the article and found it helpful. Before visiting Penang, do come back here to get more info about the place. This will help save you time and know which places to visit. The street art is amazing! People who drew it clearly have great artistic skills and strong imagination. For me, the best drawings are the ones where people can pose. I wonder, do local people invite artists around the world to do this art? Because it’s unusual that one of the drawings was made by a Lithuanian guy. I also wonder if anyone with great artistic skills is free to make this kind of art. I see myself as an artistic person as well, and I’m kind of eager to give it a try. Hi German. Thanks for dropping by. Totally agree with you that the street art is amazing! And the artists are so talented. 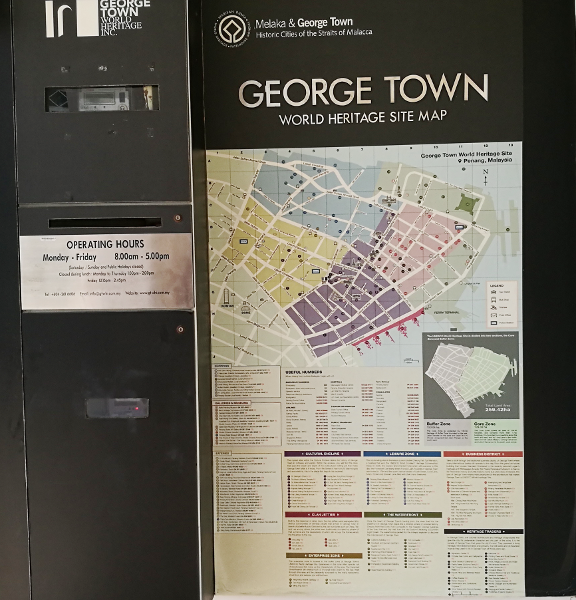 When George Town of Penang won the UNESCO World Heritage Site, they wanted to make the place look more interesting and yet retain the heritage and culture. They searched the world and found the Lithuanian artist, and appointed him to add his special touch to the buildings. This is an awesome article about Penang. I’m a Malaysian and impress about this blog introducing Penang. The information helps me a lot and save my time for searching where to visit in Penang. I will share your post and keep it up. Cheers! What a great post! My eyes were having a feast with so much great art! I really liked Skippy! His fame continues! I’ve never been to Penang but now I definitely need to go there. There is so much talent there. When I was in Amsterdam I saw an art exhibit about Banksy. I really loved it. Is there any street art from him in Asia that you know of? Also, have you seen the documentary, “KEDI”? It’s about street cats in Turkey. It’s a good movie. Thanks again for an amazing and beautiful visual adventure! Hi Nora! Thank you for your kind compliments! So very happy you enjoyed and liked this post. Yes, Skippy continues to be famous. I do not know of any representation of Banksy in Asia. Good question. Let me find out. Have not seen the documentary, too. About street cats in Turkey. Sounds delightful. I will look for that too. Some of these pieces are amazing. Thank you so much for sharing. I always appreciate seeing things online but the directions you provided to some of these locations are the real kicker here. I can’t wait to check this stuff out in person. Pictures just can’t recreate the feelings that the artist compels you to feel when you see their work for real. My next visit will have to be soon before the weather gets too nasty in some Asian areas. Thanks for the insider info here! Can’t wait to read more. Glad you like this post and all the images, Dalton. It is always good to be appreciated. And totally agree with you. It is better to see the art in person. While I did try to showcase the illustrations as best as I can, it is so much better to be there, and actually see the art there. The colors, the way the art blends in the environment, the way people interact with the art. It is all so awesome. The weather here in Asia is actually quite nice. Right now, we are in the Spring/Summer equivalent of the seasons. And this means the weather is hot with occasional showers. Just that when it gets too hot, do bring an umbrella for shade, and a large bottle of water for hydration. The latter is an option because there is plenty of cafes to take a break and enjoy a cool drink. Thank you so much for your wonderful article. Your introduction about the town was very useful. I’ve got more new knowledge about there. Many things that I have never heard about Penang before. I quite like your street art photos and video. That really attractive. I can imagine a lot of people would like those. Penang is even more wonderful and interesting after I read your great post. I wish I could visit there sometimes soon. Have a wonderful evening Tim. Glad you are here again. Thank you so much for reading my articles. Yes, there is a lot about Penang. That is why I plan to visit it again. So that I can share more info. Also very happy that you enjoyed the photos and videos. I will do my best to keep improving the photos and videos. I plan to get the Canon G7 x Mark 3 when it is available. It is very popular with bloggers, and there is a good reason why. The camera produces good enough images for the blogs. I hope you do get to visit Penang. And when you do, pls book via Agoda. You can get discounted rates when you Click Here. Street art is such a beautiful concept. It helps break up the typical “cityscape of the bland concrete jungles” of a city. Recently my youngest child wrote a research paper for school about Street art VS graffiti. She is an inspiring artist herself. 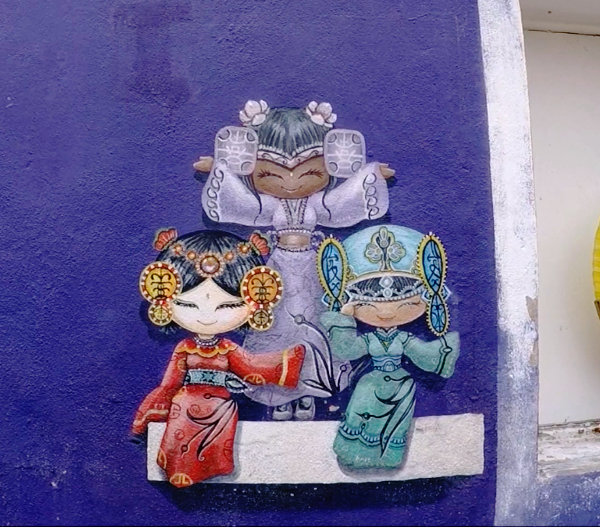 I think she would love to experience this street art in Penang first hand. I am going to send her a link to your post and have her check it out. That is an awesome topic written by your child. I am thrilled to hear that she is going to be an artist. Yes, please show her this page. I hope she likes what she sees? This post was a joy to read and see. The art work is amazing and actually reminds me some Asian fiction that I used to read a few years back. I don’t remember the author, but I do remember the vivid imagery and enchanting mood that were created in my mind as a result of the author’s masterful use of language. Your post shows that vivid imagery is a talent shared by many Asians. Thanks for sharing this fun and informative post.